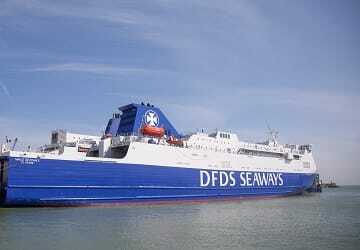 On an 18th month charter from Stena Line, formerly known as the Stena Nordica, the Malo Seaways operates on the cross channel route for DFDS Seaways. Malo Seaways can carry up to 400 passengers and offers a convenient and relaxing way to travel. On board there is a kid’s play area, a shop and a café with a bar and sea view. You can enjoy a nice meal or drink and above all enjoy your trip. 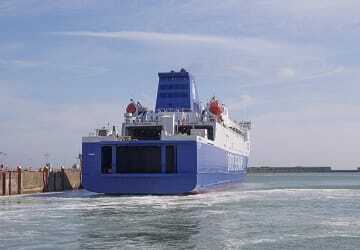 A number of different food options are available to you whilst crossing the channel. With a snack bar, self-service restaurant and a separate café there are choices for varying tastes and pockets. Whether you need to get some souvenirs for loved ones, want to buy your favourite tipple or just fancy treating yourself to a new fragrance, you can do just that on Malo Seaways. With lower than high street prices it’s the perfect way grab a bargain and help your journey fly by at the same time. If you are looking for some postcards, confectionery, books, newspapers or a light snack, they’ve got that too. There is no need for you to lose touch with the outside world whilst on board with Malo Seaways, with public Wi-Fi available for all travellers you can keep up to date with the latest news, chat with family and friends or even get some work done. Television screens are scattered throughout the public areas, allowing you to kick back and relax with some entertainment to go with the comfortable seating arrangements. Keeping younger travellers can be challenging but this is made significantly easier with a designated kids area. The little ones can take advantage of the soft play area, burning energy and passing the time in a safe and fun environment. Older children and teenagers are also catered for with the on board arcade area, stocked with a number of video and racing games. Full mobility access is available with elevator access to all decks. Please Note: Whilst we have taken great care in making our Malo Seaways guide as accurate as possible, onboard facilities, services and entertainment may vary depending on the date and time of year that you travel, facilities mentioned may change without notification and ferry companies reserve the right to operate vessels other than those mentioned at time of booking without prior notification. All went well! Nice grub! Last minute booking, great prices and well within my budget. Ship itself arrived on time, was comfortable on board and the boarding and disembarkation procedure was very well organised.